The Azure AD/Office 365 User Synchronization and Registration solution for WordPress, is used to create and register WordPress Users to a specific Azure Active Directory(AAD) Group or create and register Azure Active Directory(AAD) Group to a specific WordPress role. This is achieved by using a combination of our plugins for (user and media) to interface with the Azure AD identity services. We have support for the creation of both member and guest/external users types, with the latter being done by sending invitations to said WordPress users. We have used this said solution to create Dynamics CRM contacts or Outlook Customer Manager contacts as Azure AD users either as member or guest /external user types. Custom Post Type - adds support for advanced custom field(ACF), toolset types and the custom ui types plugins. Media - adds support for the wordpress media types with the added functionality of file rename, file replace of media files and supports the enhanced media files plugin. Forms - adds support for gravity forms, contact 7 form, formcraft pro and ninja forms with added support for the uploading of single or multiple files in varying integration scenarios. Events - adds support for "the events calendar" plugin, in varying integration scenarios. Buddypress - adds support for "Buddypress/BbPress" plugins, in varying integration scenarios. The below plugins work best in conjunction with one(1) or more of the supporting plugins listed above. 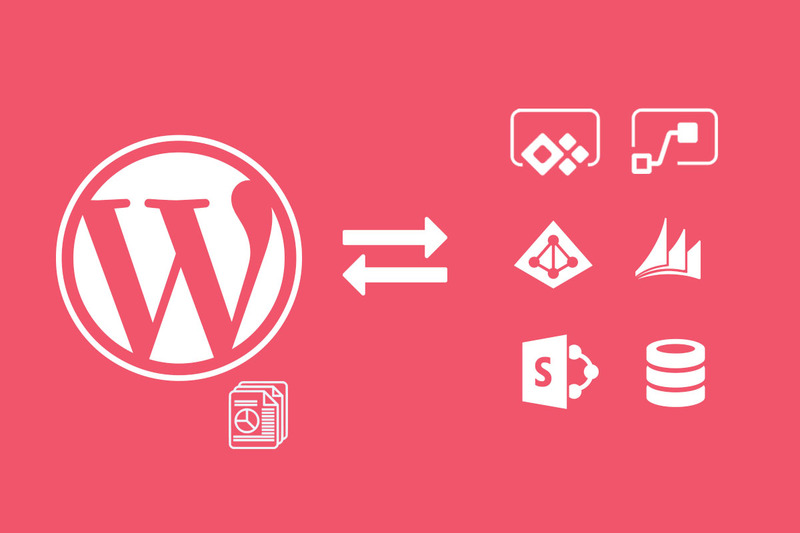 Bulk Actions - add support for using the wordpress admin bulk action interface to trigger customizable actions(sent sms, print pdf etc) manually on specific wordpress records. Powerapps - add support for loading a powerapps in the wordpress admin interface in the context of a specific data type (custom post type, woocommerce, user) record. Powerbi - add support for loading a powerbi in the wordpress admin interface in the context of a specific data (custom post type, woocommerce, user) type record. 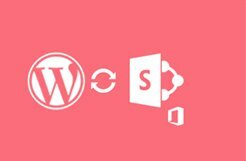 Synchronize WordPress users data to Azure AD users records. Synchronize Azure AD users data to WordPress users records (Right to Left). 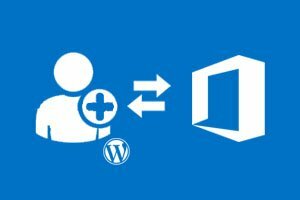 Supports two different ways for the creation of the users in Azure Active Directory from WordPress. Creation of the Azure AD User via the Graph REST API, User creation REST API – Involves the creation of an email address based on a verified domain name in the Azure system. Example: Fisrtname-Lastname@myTenantDomain.com. Customizable account creation email template available to be sent to registered users. 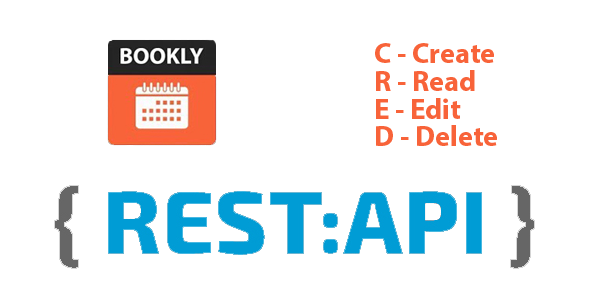 Creation of the Azure AD User via the Invitation REST API – Involves the creation of a Guest account in Azure Active Directory based on the user’s email address as registered in their WordPress user profile. Create unlimited connections for the synchronization of users between both systems. Ability to set auto synchronization interval time period – Example options: real-time, every thirty minutes, every 6 hours etc . Ability to map WordPress user profile fields with Azure AD user profile fields on the mappings page. Use conditional logic to customize how your data is handled.